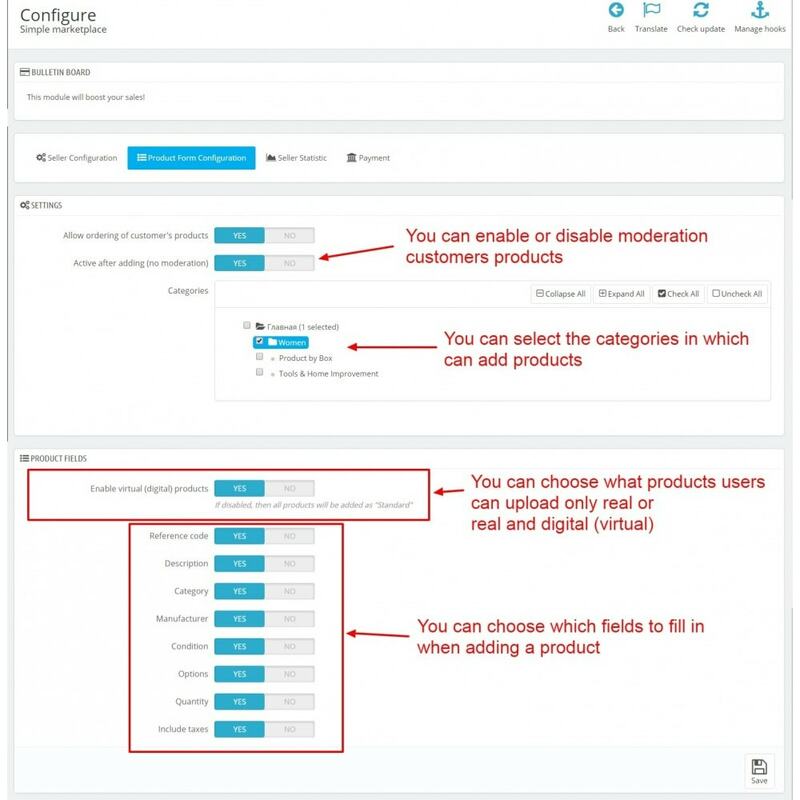 Customers can add their products to your store in the selected categories. Set the seller commission rate..
Edit and delete seller's products. Admin can also sell its products on store. Add and Edit their products (from the customer account). 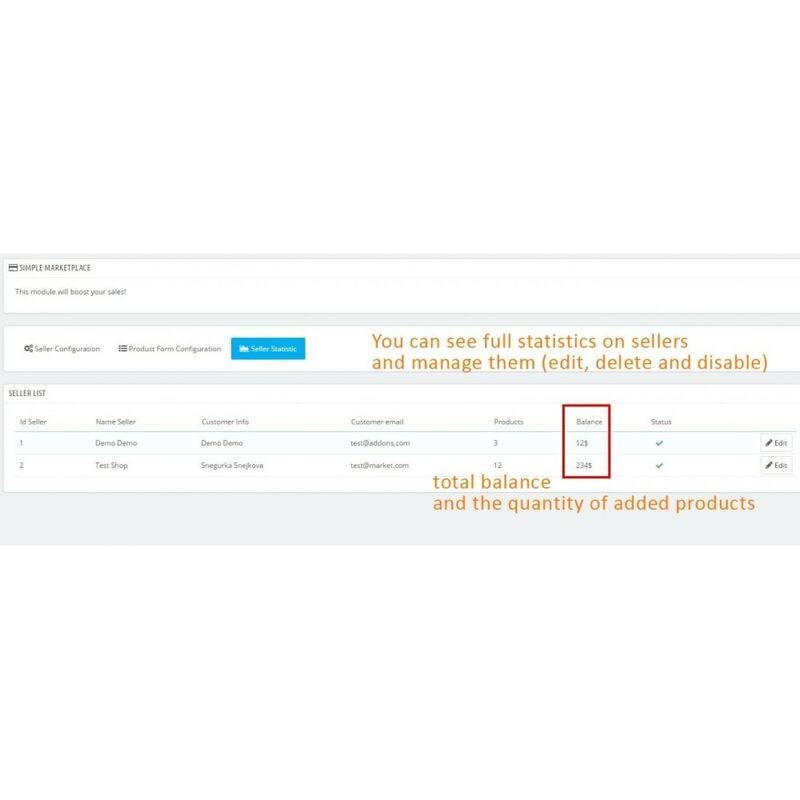 View statistics of their sales, orders and transactions history. Attention! 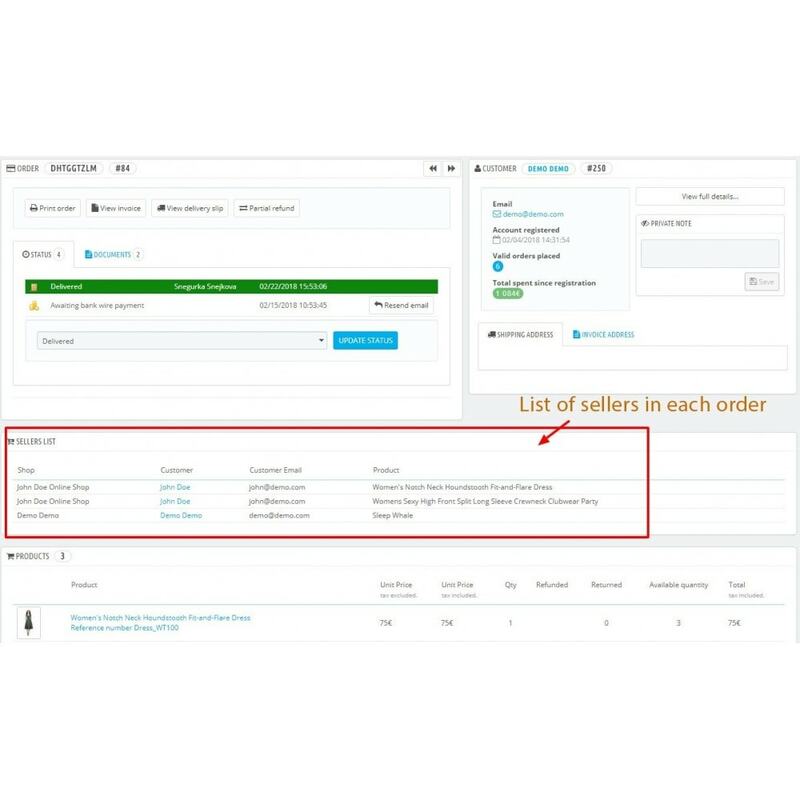 Sellers cannot manage orders, carriers and shipping cost. You can enable or disable tax. The seller can see detailed information about the orders for his products. Information about the seller in the product’s page. Customer can see all products of the seller. 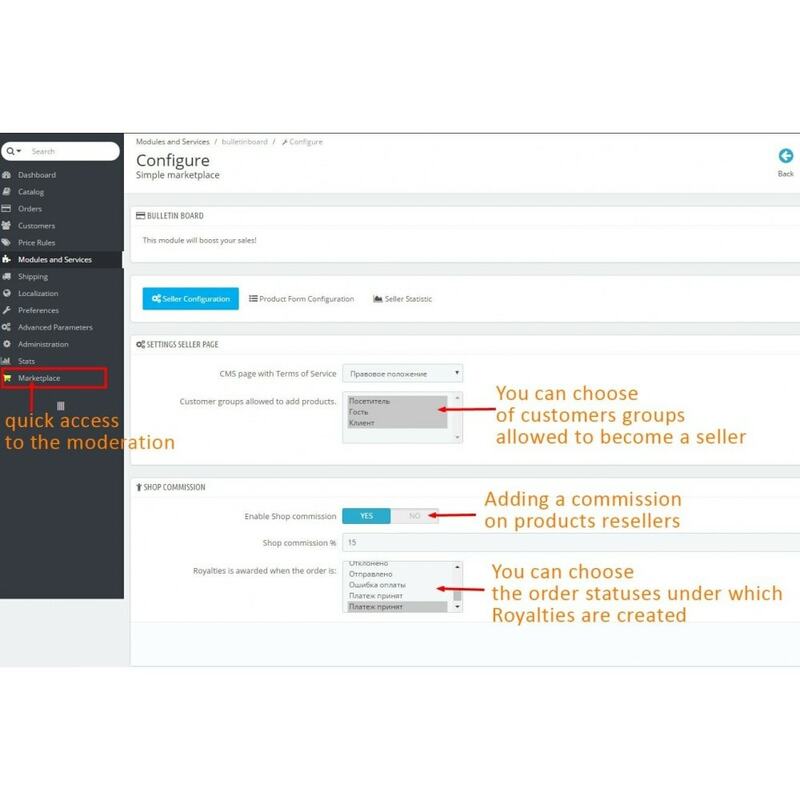 Customers can buy the products of different sellers in one order. The Commission will be calculated automatically for each seller. 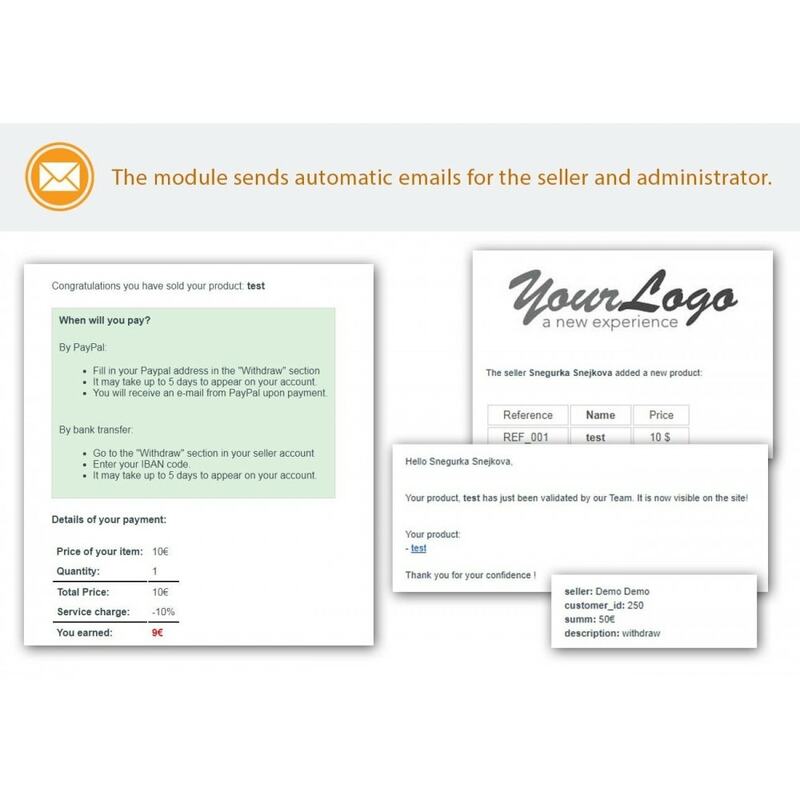 The module sends automatic emails for the seller and administrator. All templates of emails can be edited via a user-friendly interface (instruction inside). - Can we use any installed payment method with your module? - Is it possible to assign a large group of products to a seller? The module has no limit on the amount of products. No automatic import. 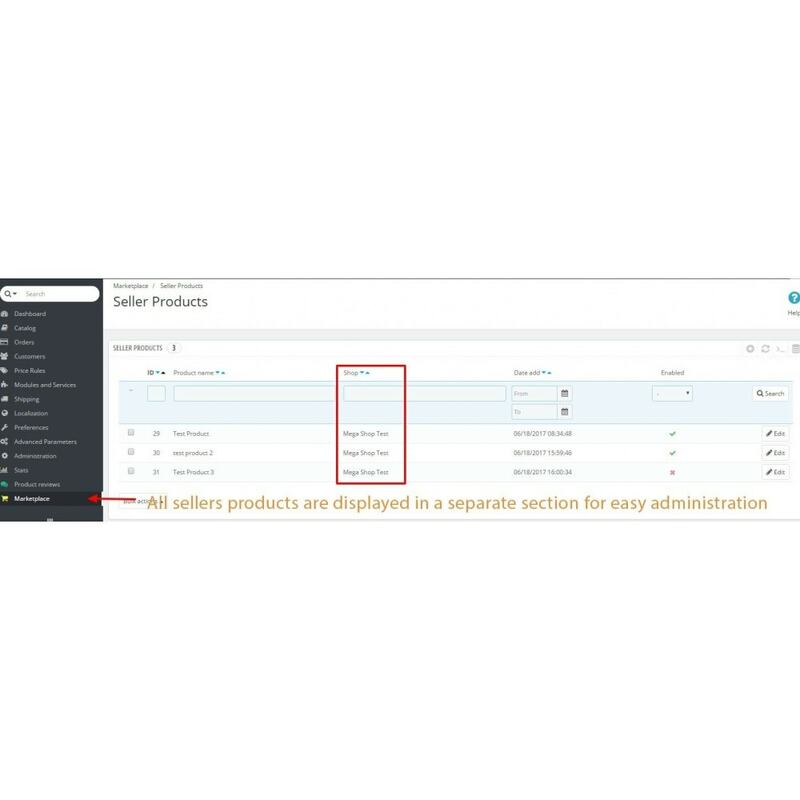 - Can we import the csv with our module and then mass assign products to a seller? 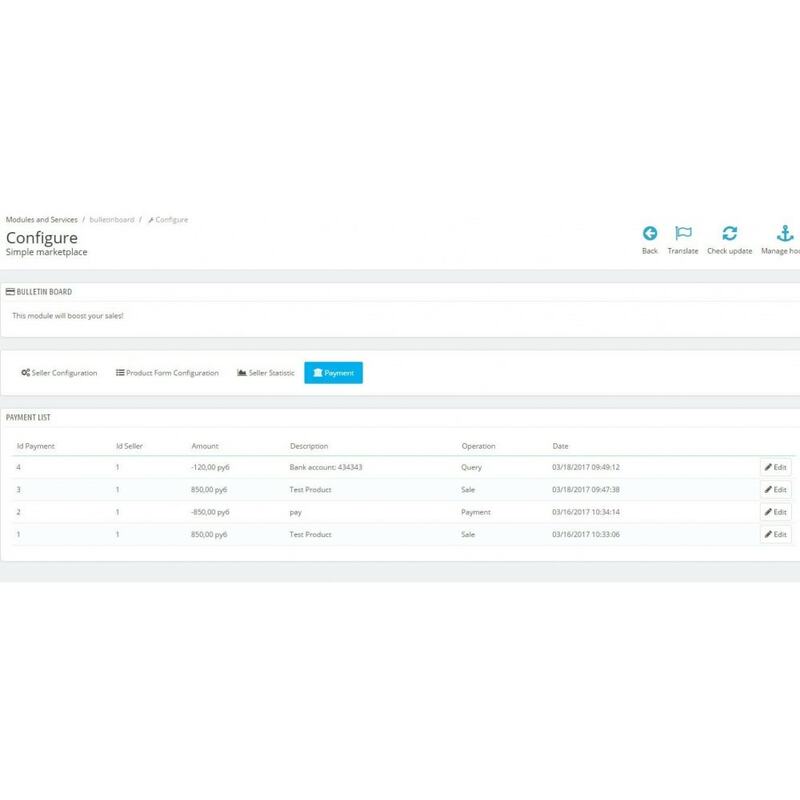 - Is your module compatible with all custom templates? Will it use our css? Customers can sell the products that they are no longer needed. 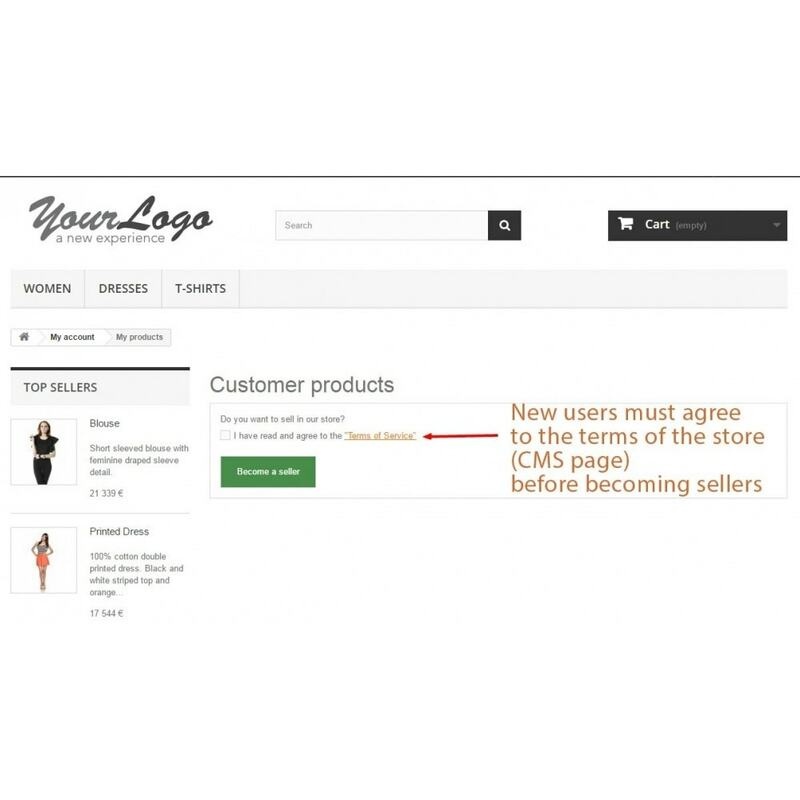 Customers can buy products from other people using your store.